Manufacturers of premium cannabinoid oil products, NuLeaf Naturals sources all of their CBD oil from organic producers around the world and processes them in their laboratory inspected US-based operations. They then offer their CBD oil products directly to consumers by cutting out the middleman, keeping prices low across the board. Visitors to their e-commerce platform will be able to find your and full spectrum CBD oil products that haven’t been watered down or mixed with other chemicals in a variety of different formats, including edible, topical, and even beauty/skin care products. 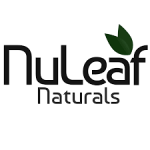 Take 15% off of the first order placed on the NuLeaf Naturals website by signing up for their free email newsletter.